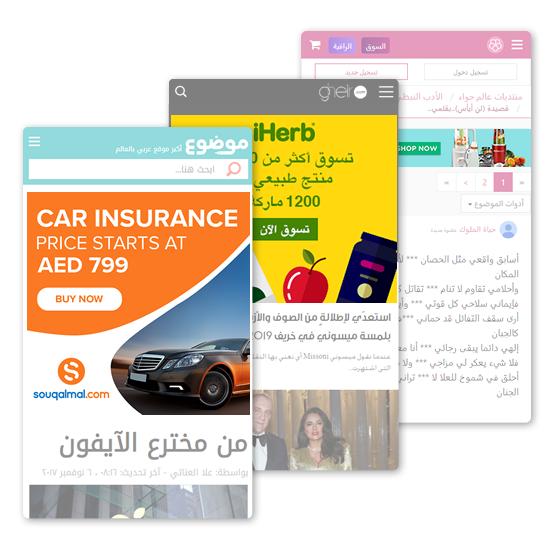 ArabClicks delivers you innovative affiliate marketing solutions so you can make more money from your content, simply and easily. 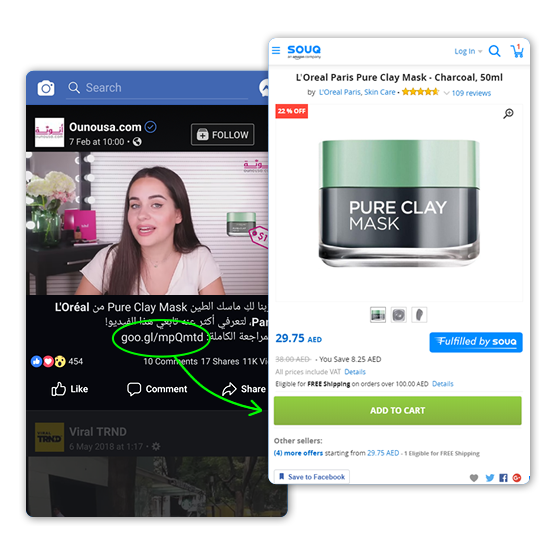 Our free products automatically connect you with top advertisers like Souq, Noon, Namshi and Tajawal, plus you’ll always get our best-in-class sales commissions. LinkConverter, scan websites content and automatically turns unaffiliated hyperlinks into revenue generating links. With no change to the look and feel of your site, you’ll start earning commissions for any sales driven to the advertiser’s page. 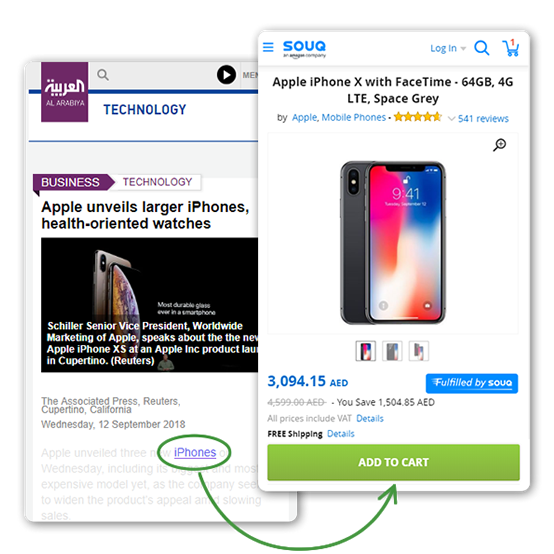 Choose the right advertisers for your site from one of our curated Ad Groups or create your own. Our system analyzes and optimizes ad performance so that only the highest converting banners go live. SmartLink (deep link) turns product and brand links into high-powered hyperlinks that make you money with every sale. No coding required! Send, tweet, post, share revenue generating links via YouTube, Facebook, Twitter, Instagram, Pinterest, Email and more. Promote your favorite products – it’s now easier than ever!